Inverloch History’ is published by Inverloch Historical Society Incorporated. 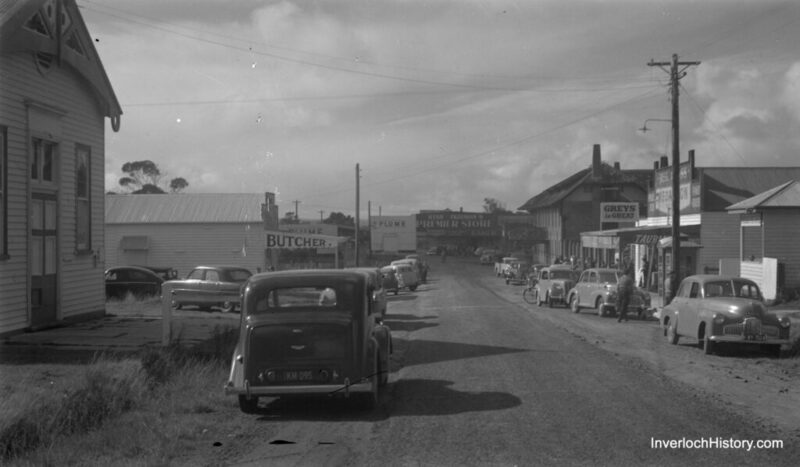 The Inverloch Historical Society was founded in 1996. It has a large membership, most of whom reside in Inverloch. A number remain as members, although now living interstate. Membership consists mainly of two groups, those who where born in the area, and retirees, many of whom spent happy times in Inverloch as children when their families camped along the foreshore. Join us in our vision to promote the movable cultural heritage of Inverloch and the surrounding district. All are keen to learn what Inverloch and the surrounding districts were like in earlier times and to pass this History on by having strong ties with other Society’s in the area. There is a Guest speaker at monthly meetings, two Historical bus tours each year for members and a Heritage bus tour where members from the eight Society’s combine to view Historical sites. A monthly newsletter is produced, distributed to members, other societies and to points in the Community. A copy is placed in a display cabinet in the shopping arcade for the Community. The Society owns a very detailed Collection of photographic and documentary memorabilia and displays are put in place at various venues for the public to visit. In 2009, the Society received a grant from the Commonwealth Government to restore the Inverloch Rocket Shed. The 108 year old Shed has now been restored to Heritage standards. An Interpretive Display will be placed in the interior. Coupled with the Replica of the “Ripple” at 22 The Esplanade Inverloch, the Shed and the Ship form a Maritime Precinct. Educating the public about items in the collection. Encouraging the study of the movable cultural heritage of Inverloch. Eulalie Brewster has been a passionate part of the society formed in 1996 and is now the group’s patron. Her dedication to preserving the past resulted in Ms Brewster receiving two awards from the Gippsland Association of Affiliated Historical Societies. Images from our collection are available in high-resolution format. Please contact us if interested. Whether you are a student, a researcher or a history enthusiast, you can use Victorian Collections to explore well over one hundred thousand objects around the state. Discover hidden gems and uncover unexpected links between Victoria’s distributed collections. Delve into stories of our shared past, hone your research skills or join the conversation. If you would like our help to research some local history or if you can help us to expand our knowledge, please contact us.